Trends aren’t always easy to predict. However, if you look at the bigger picture, you can often see the direction of the candle industry. It tends to follow the same path as the other industries. Simply look around you and soak up the ideas in your environment. Clearly the move to sustainable eco-friendly living has made its mark in several arenas. From all natural foods to green buildings, every industry is jumping on the band wagon in an effort to protect the earth and, let’s face it, rack up the sales. In candle making, a very big trend is the movement to soy candles. Soy is a sustainable plant based wax produced from hydrogenated soybean oil. Not only is it natural, it is less expensive and burns cleaner. It also holds a lot more fragrance giving it a strong scent. Pair the natural wax with the clean lines of a simple glass container and eco-friendly packaging, and you have a very popular candle with consumers. Since there is also a big push for aromatherapy, it makes sense to combine the natural soy wax with essential oils. You’ll want to read our previous article on natural candles to know which essential oils are typically safe to burn. Color plays a very big role in trends. Every season our clothing’s top colors are dictated by the fashion world. Interior decorating often dictates the color trends of candles. 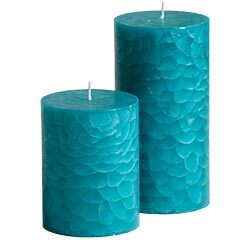 Typically people choose candles based on either color, scent or a combination of the two. If you make candles for consumers that prefer colorful pillars to match their décor, then you’ll need to watch the interior design trends. Not only should you keep an eye on decorating magazines, but try taking a look around some of the trendy home stores. People are choosing pops of brilliant color to update their looks, and with the still slow moving economy, shoppers will be more likely to buy a few decorative items, like candles to spruce up their home, than to entirely redecorate. You’ll notice bright teals, vibrant oranges and yellows, as well as toned down cool blues and greens. Look at the seasonal Pantone colors to get ideas. While the current trend is moving towards bright, watch for what colors are selling well for you. Many people still choose more neutral and traditional colors for their home. 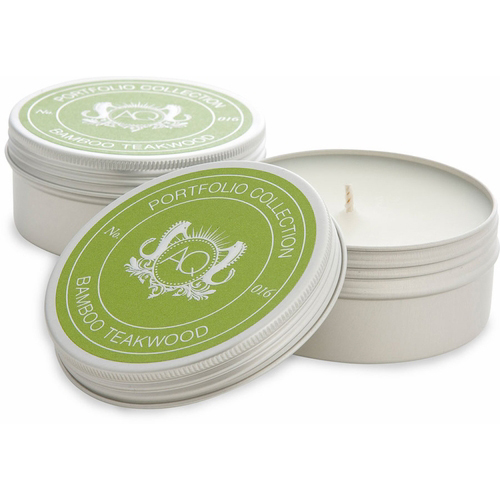 A new trend in candle making is towards the more exotic scents. Scents such as pomegranate, mandarin tea, blue agave, bamboo teakwood, and lotus are all sparking interest. There are also many new scents that are simply combinations of scents to try as well, such as rosemary mint and ginger lime. Flameless candles are becoming all the rage. Many consumers have children and pets, or they simply prefer the convenience of flameless. Not only are they safe from starting fires, but many flameless candles run on timers. No more falling asleep and forgetting to blow out the candles first. Plus, there is nothing like coming home from a long day at work and have the flameless candles timed to come on when you arrive, longing to relax. If you look at the majority of candle packaging and overall design, you’ll note that the current trends are clean lines, simple text and elegant clean packaging. The best way to know your market is to watch it. Pick up magazines and shop in popular home stores. Check out local spas or sit and scroll through the Internet. All these ideas are clearly displayed and may lead you to developing some new trends as you keep up with current ones. The key is to observe the bigger picture of the industries involved. Bath Alchemy by The Bonnie Bath Co.